Declared as the strongest woman of Kerala by the Kerala State Powerlifting Association for three times, Majiziya Bhanu, a professional powerlifter and a bodybuilder is emerging as an inspiration for all women. 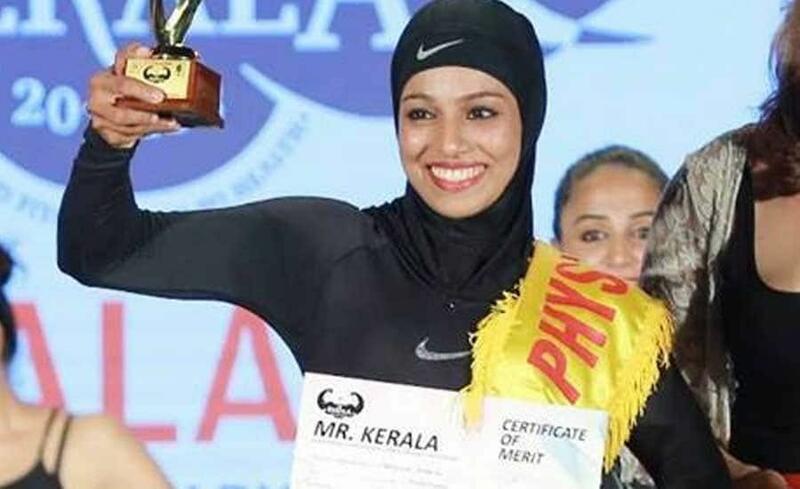 Majiziya hails from a small village of Kerala, Orketteri has a full-sleeved black leotard and a hijab secured around her head, when steps on the stage, all eyes stick on her. A 23-year-old Majiziya is a Hijabbed weightlifter who has won a silver medal for the nation in the Asian Powerlifting Championship 2017, Indonesia and made us feel proud of her. Mojiziya has also won gold at the Woman's Fitness Physique 2018 held in Kochi. "I was so eager and enthusiastic to learn different sports as a little kid," says Majiziya. "I am glad my parents, Abdul Majeed and Rasiya Majeed, supported me and did everything they could do for me to achieve my dreams. They enquired about games, but unfortunately, none of them was available in the village or nearby town," she shared. Even after all such circumstances, Majiziya never gave up. "I did everything that was in my limits and, later when I felt like I could go out to explore, I did the same." "It was my husband who encouraged me and gave me the strength from miles and miles away, from Afghanistan." Majiziya Bhanu, even after being an active and strong woman powerlifter, She never intended to be a bodybuilder too. 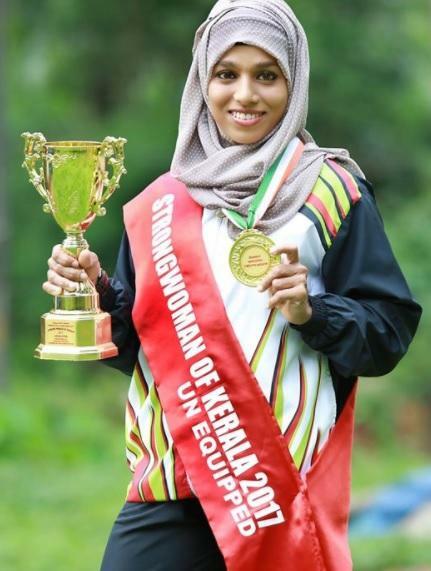 After her husband Nour Ahmad Kohan Alizaey asked her to participate in women's category of Mr Kerala Competition 2018, she got into it too. Majiziya Bhanu's achievement and hard work are commendable, Undoubtedly she is emerging as an 'Inspiration' and setting an example in front of all. A grand salute to the hero and making us proud.